Here we are again, back at the slab. This is the same piece of rock that has the letters and images, only from a different angle. 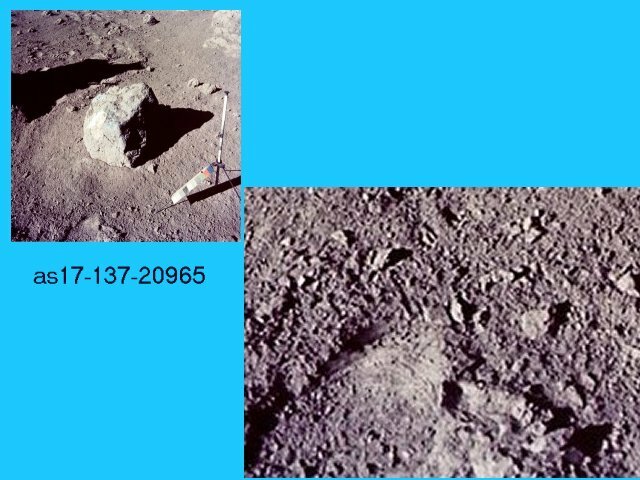 These first two photos are showing material at the left edge of the slab, or left side of the earlier slab photos. 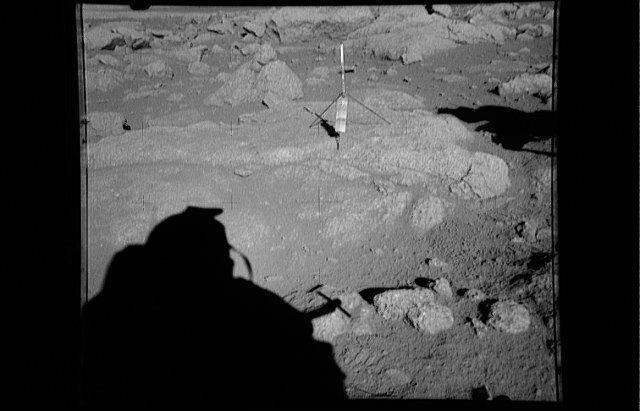 Notice the family of skulls in the lower right portion of this NASA photo? 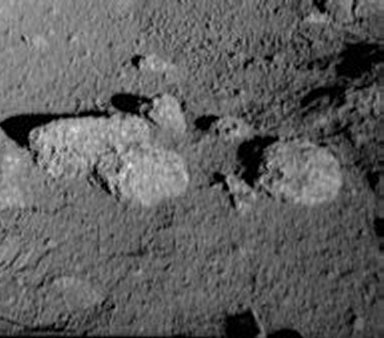 I have looked through every published photo from Apollo 17, and nowhere have I seen any rocks that resembled skulls except for the ones you have seen and are about to see. So you see that this is rather tough to make into the "coincidental image theory", when we see three objects resembling skulls sitting closely grouped together. One looks to be canine and the other two human-like, with the smaller of the two (center) facing toward you and the eye sockets and nose hole visible. Look long and hard at this page. You could be looking at a distant relative and not know it. That sure appears to be the hope of some of those at NASA. Now hang on to your chair, as this next photo is very convincing and shows most dramatically why we "Really", went to the Moon.